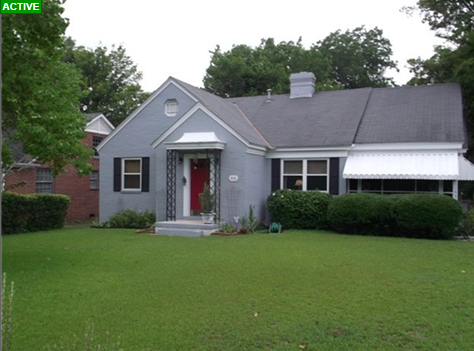 3301 Hillcrest Ln - Recently Renovated Forest Hills Charmer! This recently renovated home will steal your heart! No dinky living room here, just a GREATROOM with vaulted ceiling and stone fireplace! Separate dining room overlooks patio and large corner-lot fenced back yard. Who wouldn't enjoy the updated kitchen with real granite countertops, tile backsplash, and new appliances? 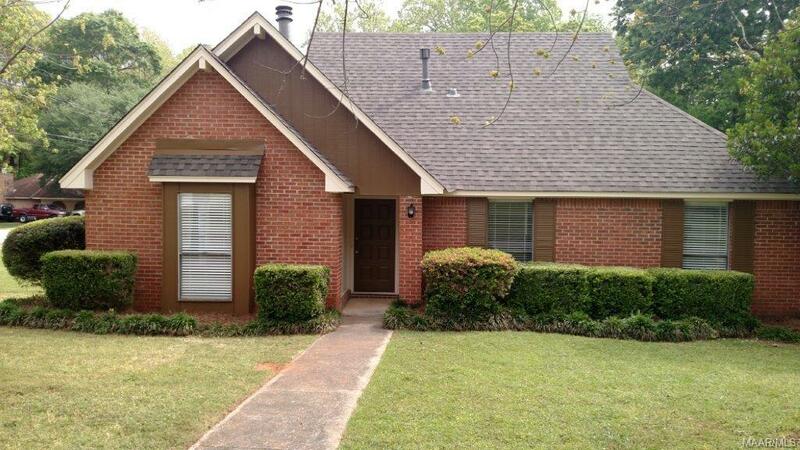 Brand new roof, fresh paint, and new floor covering round out this Forest Hills charmer. Priced to sell, so call your favorite agent before this one is gobbled up by another buyer! Move-in ready in desirable Edgewood! This Midtown Montgomery home has recent upgrades that include kitchen with Carrara Marble countertops, master bath with marble floors and countertop, guest bath with modern tankless toilet and walk-in shower. Special mix of old and new with huge carved mirror and moldings from the old Montgomery Country Club and three antique walnut doors from France (all courtesy of local architect Arthur Joe Grant). Other features include hard wood floors, two china/silver closets, sprinkler system and master bedroom walk-in closet. Kitchen has new double paned windows that look out onto the large brick patio and the beautiful football field sized back yard (that the owners will miss dearly!) Owner is agent. Current owner loves the privacy that the overgrown shrubs and hedges afford, and just imagine how stunning the front facade of this home could be if all that was cut back! 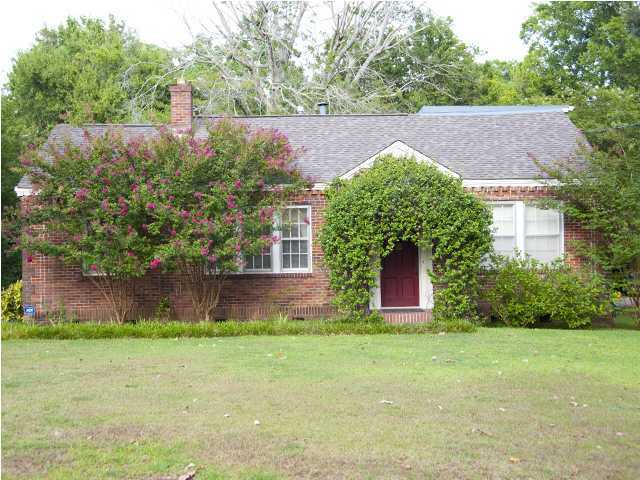 Stunning arched windows and classic lines invite you into this Old Cloverdale charmer in Midtown Montgomery. Large rooms, lots of natural light, and high ceilings make all the rooms feel spacious and open. Family sized dining room is perfect for entertaining, and cozy sunroom off the living room makes a great little get-away space for relaxing. Large kitchen is entirely functional, and could be knock-your-socks-off fabulous with a little thought and renovation. Wide central hallway provides access to three well-proportioned rooms and a large updated hall bath. Make sure to go out back and see the deck, screened porch, mature landscaping, and soaring trees. Plenty of parking in the back (behind automatic gate) with a detached two car carport. Bonus room above carport has window unit for heating/cooling and would make a perfect artist’s studio, craft space, kids play-space, or man-cave. Walk to local eateries, bars, and entertainment hubs, or stroll through Cloverdale park, just a few blocks away. 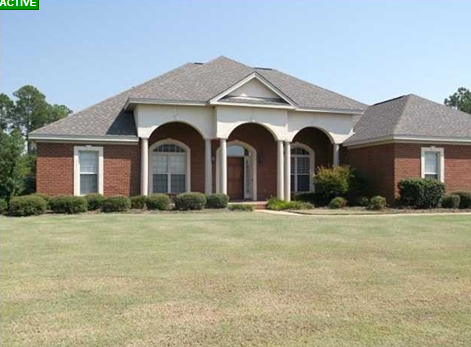 Montgomery AL Real Estate: Southern Charm and Grace! 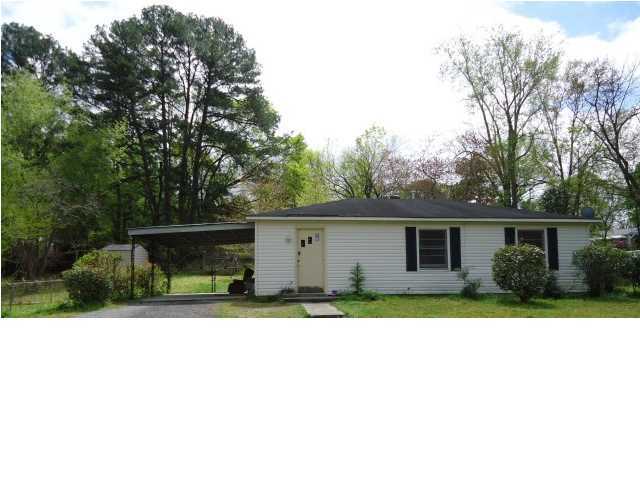 Southern charm and grace best describe this South Hull Gem with space galore! Grand entry foyer with dentil molding and classic archways invite you towards large formal living and dining rooms. Steps away from the living room is a cozy den/study with wall of bookshelves and a warming fireplace. Don't miss the enclosed side porch-turned game room (a favorite spot for the kids and teens to hang out!) Large updated kitchen will be the family gathering place, and the sunroom/breakfast room will invite many hours of calm and relaxation. Large fenced yard is manageable, and has wonderful entertaining spots as well as detached parking and workshop/storage. 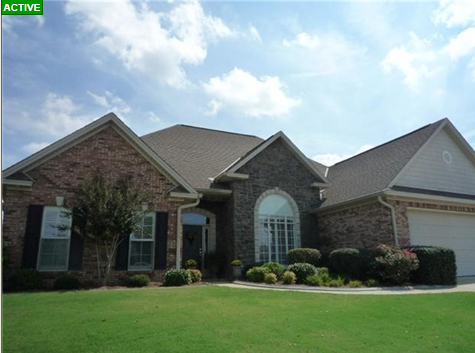 This home even has a basement perfect for wine cellar or safe place for your family! The word is spreading in the world of real estate—“Now is a good time to invest in Montgomery AL real estate.” The reasons behind this advice appear to be both numerous and sound and include justifications such as low home prices and interest rates, an increased demand for rental property, strong signs of a recovering real estate market, and the continuing volatility of the stock market. Find the right piece of real estate: The Internet can be your best friend when searching for houses to buy, so remember to use the net to check out homes and neighborhoods. Investigate current rental rates, average salaries, and unemployment figures for that area. Be alert to homes that are in mortgage default and about to be foreclosed on. 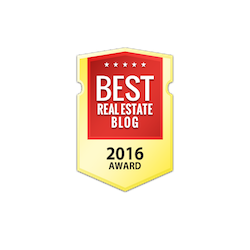 You may want to consider properties in pre-foreclosure if you have ample time to wait. Look for properties that don't need major fixes but will benefit from quick, low-cost improvements. Choose a knowledgeable Realtor who is experienced in investment properties. 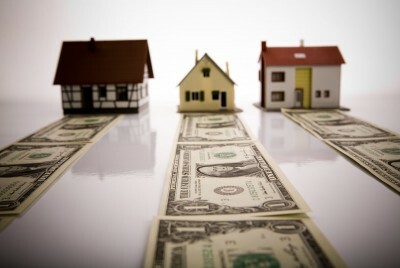 Think about joining a real estate investment club to meet a wide variety of professionals. Run the numbers: Get every last expense figured into your calculations, and be sure that you will have positive cash flow from the start. Include repairs, mortgage payments, taxes, insurance, maintenance, management, HOA dues, utilities and reserves. Hire your own professionals: You may think it would be easier to just utilize the inspectors or appraisal professionals selected by the seller, but it will hurt you in the long run. No one likes spending money on something they could get for free. Nevertheless, it is good to hire individuals that you can truly trust. It is important to realize that investing in Montgomery AL real estate is not a get-rich-quick scheme and that it does require some work on your part. While appreciation will occur over the long term, you don't know how long that will be. In the meantime, you want to be able to make a profit, or at least not lose money every month. The "Uglies" have attacked this otherwise OK home, and that provides you the perfect opportunity to score a bargain and kiss the rent monster out of your life forever! You'll have to be patient, budget for carpet and plan to do the cleaning of a lifetime. And when you're through, you'll have a neat little home in otherwise good condition complete with covered parking and a covered patio, too! Live Large On A Small Budget! Live large on a small budget in this handsome Tudor that needs only redecorating to become the home of your dreams. Lots of space means you can spread out and really enjoy life at home. And when you get the itch to get out, the Cloverdale entertainment district and concert series at Cloverdale Bottom Park are just blocks away. 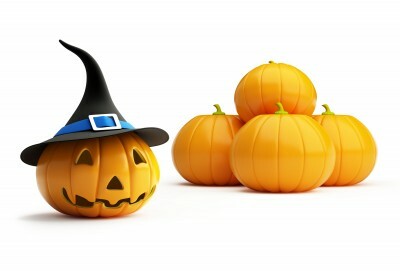 It’s nearly that time of year again—Halloween, a time of ghosts and ghouls, tricks and treats, and costumes and candy! 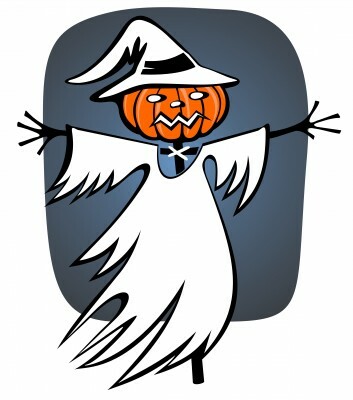 Did you know that Halloween is second only to Christmas in terms of spending? Yep--$1.2 million on costumes and another $2.5 million on candy, decorations, and other themed paraphernalia! 86% of Americans decorate their houses. Halloween traditions are many and varied. 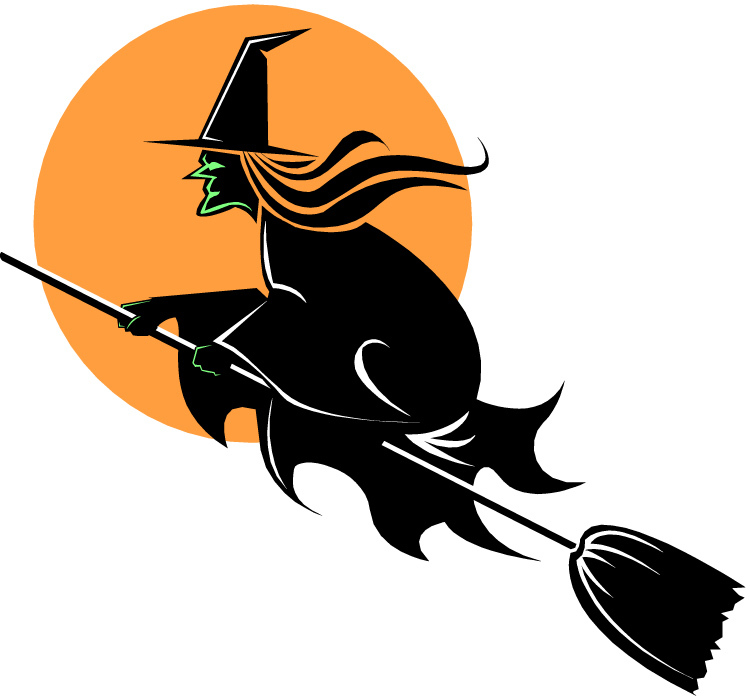 “Tis the night for donning a costume, wearing a mask, bobbing for apples, and, the children’s favorite—trick-or-treating. Looking for something different to give to the little ones coming to your Montgomery home this year? How about juice boxes, mini-marshmallows, popcorn balls, fruit roll-ups, 4 pack crayons, small glo-sticks, silly erasers, themed pencils, or goldfish snacks? Be your pumpkin orange, white, green, and yes, even blue, you want the face on the porch of your Montgomery home to be individual and unique. Get free templates to assist you in carving or for cut and paste faces here. If you see a spider on Halloween, the spirit of a loved one is watching over you. Forget the old standbys of ghost and witch. Get creative and think about the unusual. A bearded lady? A cupcake? Or perhaps popcorn or an aquarium? Although the web is filled with sites which sell costumes, you can express yourself by making your own garb. Check out CostumeIdeaZone.com for silly, serious, and/or super fast ideas. PROJECTS AND ACTIVITIES FOR THE YOUNG AND YOUNG AT HEART CAN BE FOUND AT Caboose.com, Halloween.com, ZombiePumpkins.com, and TheTeachersCorner.net. For creative ideas such as wicked wreaths, friendly ghosts, fright lights, tasty treats, and much, much more, visit LowesCreativeIdeas.com. Period details you won't want to miss! Former 'Parade Of Homes' model! Learn what makes Montgomery a special place to live!